The JetQuay CIP Terminal is an elite Airport terminal at Singapore Changi Airport which opened in September 2006. As the choice terminal for private jets, JetQuay is equipped and furnished to serve up a comprehensive suite of top-notch VIP services, including dedicated airline check-in and immigration clearance, a well-appointed lounge to wine and dine, as well as a limousine service that escorts elite guests to and from their aircraft. Our services are available to any passengers travelling on full-service carriers, on any class - arriving, departing or transiting through Terminals 1, 2, and 3. JetQuay CIP Terminal is managed by Jet Quay Pte Ltd. Worldwide Flight Services, a leader in airport and terminal services is the majority owner and operator, with Superior Travellers Services Limited, a provider of airport services in china also being a shareholder. 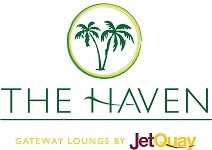 The Haven is managed by Jet Quay Pte Ltd, and is the only Pay-Per-Use Lounge located in the public area at Singapore Changi Airport. The Haven Lounge provides a comfortable area for resting or freshening up before your next engagement. Our attentive Guest Relations Officers will be at your service to assist you in any way while you relax after or before a long flight. The Haven Lounge is ideal for any traveller who may require a shower, rest or working area before hotel check-in is available and after check-out while waiting for a late night flight. Please visit www.thehaven.com.sg for more information.